Enjoy three hours of free validated parking at the Rush-Ohio-Wabash (ROW) Self Park at 50 East Ohio Street or the Ohio-Grand-Wabash Self Park at 10 East Grand Avenue. Present your parking ticket to a Design Associate for validation. Thursday, May 2, 5:30 to 7 p.m.
Refresh your body and mind during the final session of our series with YOGA CURATED, the traveling yoga series that visits design destinations around Chicago. Instructor Kimberly Writt will guide you through a gentle, all-levels yoga class in the calm atmosphere of our store. After the session, sip complimentary refreshments from Hint Water and Moderne Kombucha while you shop an Athleta trunk show. Attendees are encouraged to donate to Design Industries Foundation Fighting AIDS (DIFFA) at the door. Space is limited, so sign up today for this feel-good event for a good cause. 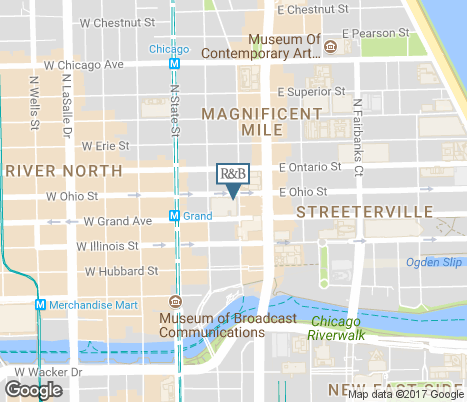 Yoga begins at 6:00 p.m.
Visit Room & Board Chicago the next time you're exploring the Magnificent Mile. A cornerstone of the shopping district since 2003, our modern furniture store offers city skyline views from four floors and two balconies. Eager to share not only their design tips and furniture recommendations but also favorite hidden gems of the city, our Design Associates are experts of all things Chicago. Chat with them as you browse living room, dining room and bedroom settings, as well as inspiration for outdoor spaces and unique home decor. Selected as a Fast Company Most Innovative Company in retail in 2019, you are sure to find design inspiration within a friendly, no-pressure atmosphere. Visit the dedicated small space department to shop the best small space solutions. ©2019 Room & Board. All Rights Reserved.